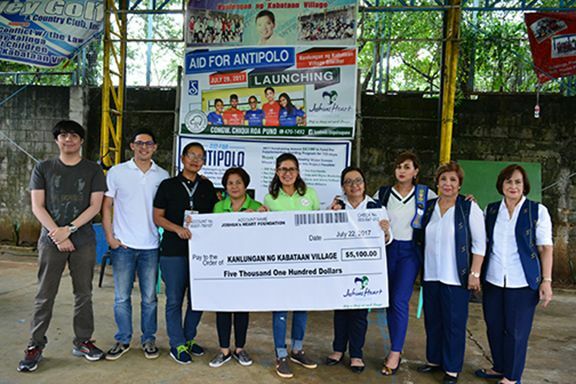 MIAMI – Aug. 3, 2017 – PRLog — Standing in the Gap, “Aid for Antipolo” is a Joshua’s Heart Foundation (JHF) initiative, created by and led by Junior Advisory Board Chair, Jordan Wong. For over ten years, Joshua’s Heart Foundation has been a stabilizing force for many underserved communities throughout South Florida and the neediest citizens from nations around the world. Within an organization equipped with an army of young volunteers poised to make a difference in the lives of the less fortunate, Jordan Wong has emerged as a leader who, inspired by his desire to give back to his roots, took the initiative and started his campaign to aid the children of a shelter for disadvantaged youth in Antipolo, Philippines. Children in Conflict with the Law (CICL) Custodial Care – housing for juvenile delinquents in rehabilitationAs is the case in most developing countries, the local government’s budget is hardly adequate to provide 3 meals per day for growing children. This gap creates a huge need for supplemental meals in their community. Donations are ongoing to Aid Antipolo. So far, through the efforts of Jordan and his supporters, their diligent work has raised $5,000.00 to donate to the ‘shelter for children’. The excitement and outpouring of love has touched many in Antipolo. Joshua’s Heart Foundation would like to thank the following major donors whose generous support made this initiative a success: JBW Realty Group, Cochran Family Trust, Touzet Family, Wong Family, Keller Family, Kim Family, Felix and Digna Manlunas, Steve and Diana Pattison and Joshua Williams.